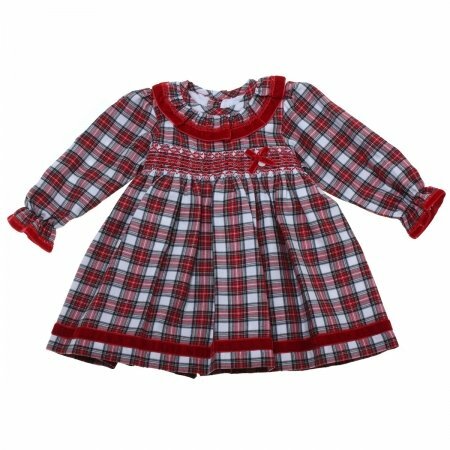 Baby girls red tartan smocked dress. Made in Portugal by BabyLai. 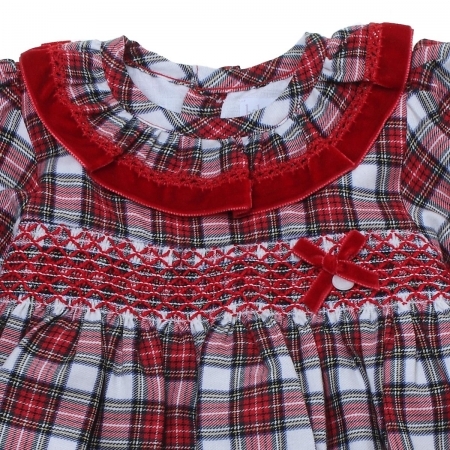 Red velour bows and trims. Smocked at chest. Tied with bow at the back. Fully lined.